What do you think about the above statement? Does it have merit? I absolutely believe it does. I first met Ray almost 10 ½ years ago on a date to the gym. I remember it fondly. A mutual friend knew the two of us had bodybuilding in common and she suggested we should meet because of our common interest. Here we are all those years later, still with fitness as a common thread and giving it a priority in each other’s lives. We both understand how important it is to the other so it’s naturally easy to support and encourage one another in this area. Increase happiness in your relationship. Participating in physical challenges or activities leaves couples feeling more satisfied with their relationship and more in love with their partner. Improve the efficiency of your workout. The mere presence of someone else affects your ability to do an activity. Working out with your romantic partner is a great way to improve your energy output, thereby boosting your performance. Make your partner fall in love with you. Exercise induces the symptoms of physiological arousal which mirror the thrill of romantic attraction. Help you achieve your fitness goals. When your partner cares about fitness, it becomes easier to achieve fitness goals. The Huffington Post reports(2) that the concept of couples working out together works. Dr. Jane Greer, a relationship psychotherapist says “both partners come away with feeling of synchronicity, cooperative spirit and shared passion. Then you throw in some spicy endorphins and it can be a real power trip for the relationship.” There is a positive physical and emotional impact for couples who work out together. Exercise increases endorphins which elicit a feeling of euphoria. More on endorphins in a future post, but let’s just say, these “feel-good” chemicals are an added benefit from exercise, especially for romantic couples. In a nutshell, having a workout partner, whether your spouse, best friend or a family member, holds you accountable to get to the gym for your workout because the other part of the couple is counting on you to be there. At The FirmU, we have several couples who train together who report that their relationships have improved and they have a closer connection with one another. We also have duos and trios of friends who come in for personal training. A benefit of training together, additional to the accountability piece and closer connections, is the reduced per person pricing structure. Duo and trio training is priced at the first person regular price and 2nd and 3rd at half price. This is a great way to enjoy the personal training we offer at reduced rates. We’d love to be a part of your fitness journey and improving your relationships through exercise. As the holiday season is approaching, if you are working on a fitness goal or are normally fitness and health conscious, you may be feeling anxious about the get-togethers you’ll be going to that revolve around food. Maybe you’re worried about the effect on the scale and your waistline. The holidays don’t have to derail the progress you have already made or keep you from achieving the goal you set for yourself. IT IS POSSIBLE to ENJOY everything about this time of year and stay on course so you start out the New Year ahead of the game. Here are a few tips to keep you on track. There will be hustle and bustle in your house this time of year. Whatever you have planned, make sure you start your day with a good, healthy meal. Don’t eliminate this very important meal of the day. The American Dietetic association suggests that adults who eat breakfast have an easier time losing weight, while those who don’t are 460 times more likely to gain weight. Make sure to include a lean protein, a complex carb like oats. Careful here….If your body fat % is over 30% (1st stage of clinical obesity), you may want to avoid carbs. However, if you do drastically cut carbs, make sure your getting your 1:1 ratio of omega 3 & 6 fats. We recommend the EFAs we sell at The Firm U. Is your gym open on Thanksgiving Day? Why not get up early and get in a quick workout before all the Thanksgiving Day activities start. You’ll feel better about it. Many gyms have reduced holiday hours…get in early and get it done! The FIRM U is OPEN Thanksgiving Day from 7:00a to noon. Come on in and get your workout on! Choose the white meat (breast) of the turkey rather than the dark meat (thigh or leg) and avoid eating the skin. See below how the different meat types stack up against one another. Mashed potatoes = mushy middles. At over 200 calories a cup and close to 40 grams of carbohydrates in mashed potatoes, you could choose Mashed Cauliflower instead and save yourself over half the calories and 25 grams of carbs. Your guests will barely taste the difference. They’re quick and easy to make. Just take a head of cauliflower and steam for about 15 minutes then transfer to the food processor or blender in small batches and blend with some garlic, a drizzle of olive oil and some low sodium beef broth added in an amount to get to your desired consistency. You’ll never want mashed potatoes again. These are delicious! Cauliflower is a cruciferous vegetable which has been shown to protect against cancer. Why not eliminate the potatoes and go for the cauliflower! Pecan pie is a traditional Thanksgiving dessert you’ll probably run up against this season. Just one slice has over 500 calories with half those calories from fat and 64 staggering grams of carbs. You would have to walk very briskly (4.5 mph) for 90 minutes to burn off that one piece of pie. So, think about it….is it Worth it? You can still enjoy the tastes of fall and Thanksgiving without all the guilt. Instead or pecan pie, why not prepare our 50 calorie per serving Crustless Protein Pumpkin Pie recipe? Pumpkin is a good source of Vitamin A, so have some! • Sounds silly, but plan and rehearse how you are going to deal with temptations at the upcoming event. • Don’t go to the social event hungry. 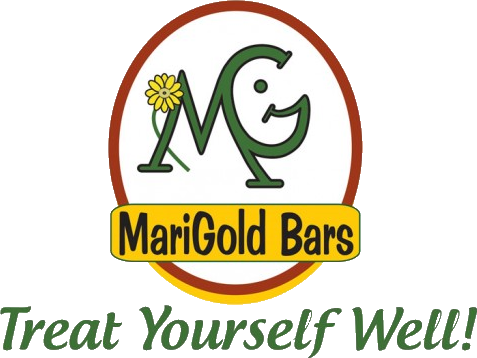 Have a Marigold Bar ahead of time and pack one in your purse or pocket when you go. • Stand away from the food. You could be tempted to graze on unhealthy options. Enjoy yourself this holiday season, but don’t let the feasting around the season turn into a complete abandonment of your program. Remember, no one is perfect, and you don’t want to beat yourself up if you help get off course a little bit. Think of it this way: this new way of life for you is a journey. If you were on a road trip to Washington and you made a wrong turn in Utah, you wouldn’t turn around and go home, would you? No, you’d get your map out and get back on course and continue to Washington. The same philosophy applies to your journey to improved eating habits and fitness. Find your way back to the intended course and continue on your journey! HAPPY THANKSGIVING FROM ALL OF US AT THE FIRM U! In 2016, Jeff Udelson had spent over two years suffering with pain in both elbows. He was diagnosed with Medial Epicondylitis (Golfer’s Elbow) on his right arm and Lateral epicondylitis (Tennis elbow) on the other. Jeff has been an avid golfer for many years and the pain he was experiencing made enjoying the game he loves difficult if not impossible. Jeff went to an orthopedic surgeon who started him out on conservative, non-invasive treatment which included several rounds of cortisone injections in both elbows; two months of physical therapy; Airrosti treatments; acupuncture; and cryotherapy. With no relief from these treatments, Jeff did what most people do…went to another orthopedic specialist On July 19, 2016, Jeff had a visit with the specialists at The Fondren Orthopedic Group who had him get an MRI. Given the MRI results and everything else Jeff had tried with no success, the doctor said the best option for him would be surgery, which he scheduled for December 2, 2016. On August 23, 2016, Jeff came to The FIRM U and met with Owner and Co-Founder, Ray Bessette. After this meeting, everything changed for Jeff. Ray assessed Jeff’s elbow condition and developed a plan for Jeff. Ray’s initial goal was to create circulation in Jeff’s elbow to speed up the healing process in the area and slowly build strength and flexibility in the forearm area. Improving grip strength by building the muscles of the forearm can improve Jeff’s ability to perform day-to-day activities and get him back to playing tennis and golf. Once hearing this plan, Jeff committed to working out with Ray three days a week. Jeff had other fitness goals in addition to eliminating his elbow pain which were to lose belly fat, increase range of motion and correct bad posture. Ray began with using light cable and dumbbell weights with bands to stretch and create strength around Jeff’s forearms and wrists. Ray had Jeff apply ice to his forearms after workouts to the reduce inflammation. Ray also had Jeff work out his legs, explaining that the best way to lose belly fat, gain better posture, burn more calories even at rest, and to not overtrain his upper body was to achieve a better body balance by working the larger muscles…his legs. This helps build muscle mass, and muscle tissue burns more calories — even when you’re at rest — than body fat. After a couple of weeks, Jeff started slowly adapting to lifting heavier weight. Ray also worked on Jeff’s nutritional intake and suggested a hormonal blood panel* to check for his A1C (sugar levels), CRP (Inflammation levels), Testosterone and Cortisol levels to name a few. A deficiency in any panel mentioned could influence Jeff’s elbow condition as well as his overall health. The prescription for exercise, diet and supplements worked perfectly. After two months, Jeff was moving and doing daily activities with little to no pain, he canceled his December 2nd surgery and even got off his pain and inflammation medications. Jeff continues to train with Ray at The Firm U and he continues to show improvement, not only in his elbows, but in other areas. Jeff has loss 16 lbs. of fat weight; his cholesterol & triglycerides levels have come back to the normal range; his posture, range of motion, strength, energy, muscle tone and flexibility have all dramatically improved; and he claims he hits the golf ball further than he ever has! This is one example of results the experts at The FIRM U help our clients achieve. We start with the foundational fitness assessment and use our vast knowledge and education with corrective exercise techniques and our thorough understanding of the body’s structural system (bones, muscles, tendons, ligaments, joints, etc.) we can help you strengthen your weaknesses and get back to doing what you love, whether is golf, dancing, swimming, tennis, playing with your children/grandchildren or walking the dog. Contact us today to schedule your free fitness assessment, email ray@thefirmu.com or call 833-FIRMU-Up.